It's not just pretty pastel houses and Instagram-famous brunch. 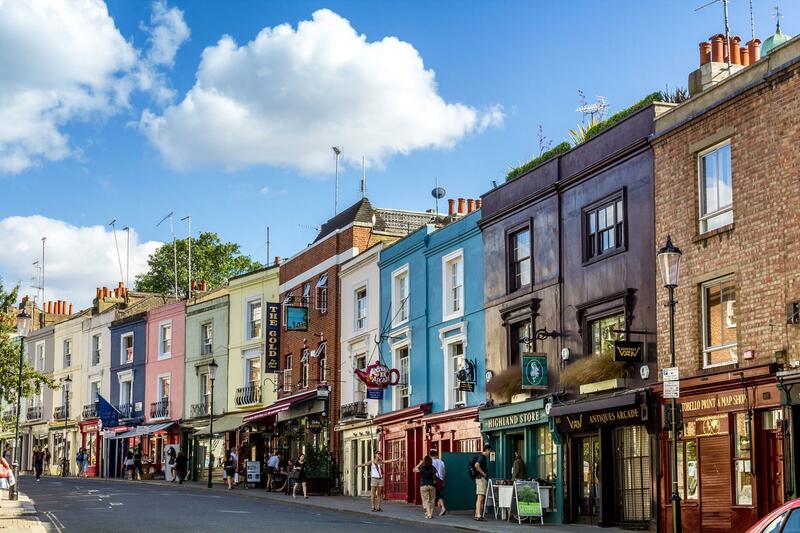 Notting Hill is a world-renowned shopping destination for both up-and-coming and established designers. 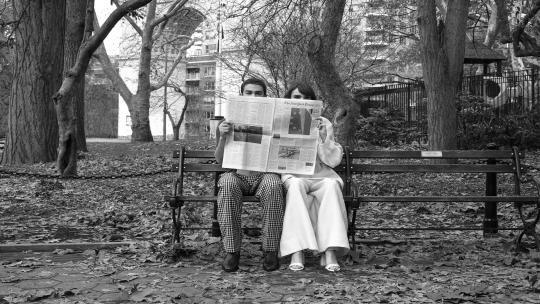 Notting Hill and Holland Park has been a fashion force to be reckoned with since its Bohemian era of the 1980s, when Portobello Road became the place to find one-off pieces in both the small boutiques and famous market. Fast-forward a decade or so and internationally acclaimed designers have now made themselves quite at home here. Take Paul Smith, for instance, who opened his UK flagship store on Westbourne Grove in 1998, or “Queen of the wrap dress” Diane von Furstenberg, who established her first London shop on Ledbury Road in 2003. 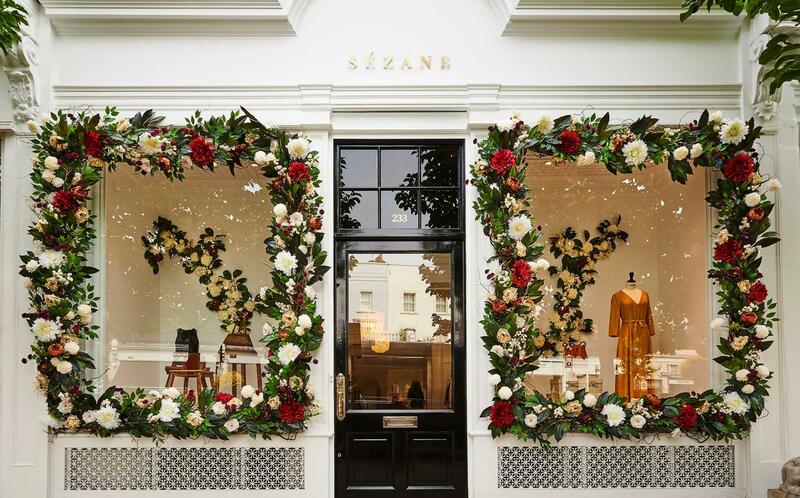 Luxury French e-tailer Sézane, founded by Morgane Sézalory in 2013, has opened its first permanent bricks-and-mortar shop on Westbourne Grove in Notting Hill. Recognisable by its floral façade, the boutique encompasses the brand’s relaxed, French girl style and offers a chic edit of clothing, accessories and homeware. Head here for cosy knits, evocative candles and the perfect ankle boot. Head designer Rene MacDonald draws on her African heritage and global travels when designing signature silk blouses and shirts for London-based label, Lisou. Fanning pleats, exuberant ruffles and vivacious prints flourish her colourful Westbourne Grove boutique, designed with her mother in mind. "She loved fashion and was a woman of elegance and high spirit,” says MacDonald. “Her aesthetic has informed the décor of the shop, while her love of bold African colour inspires my work." The entrance of the boutique is recognisable by a faux blossom tree, crowned with ivory silk leaves, which is complemented by a hand-painted mural inside the shop. “In amongst the branches is Sheba, the powerful and resilient flying lady who also features on several of our in-house prints.” The charming shop also has secluded café space, where customers are encouraged to relax and engage. Recognisable by its hanging cowboy boot-shaped sign, Jessie Western is a trove of Native American wares, spanning handcrafted clothing, footwear and jewellery. The boutique is owned by two sisters, Jess and Vicky, who share a commitment to ethical luxury and a passion for authentic craftsmanship. Delve through railings stuffed with fringed jackets, ponchos, blanket coats and denim, hung alongside cabinets of sterling silver and rare turquoise jewellery. You can also find handpainted cowboy boots, beaded moccasins and bags. Collections are handmade by Native American artists, while fine diamond and gemstone jewellery is made onsite by Jess, who previously studied at Central Saint Martins. 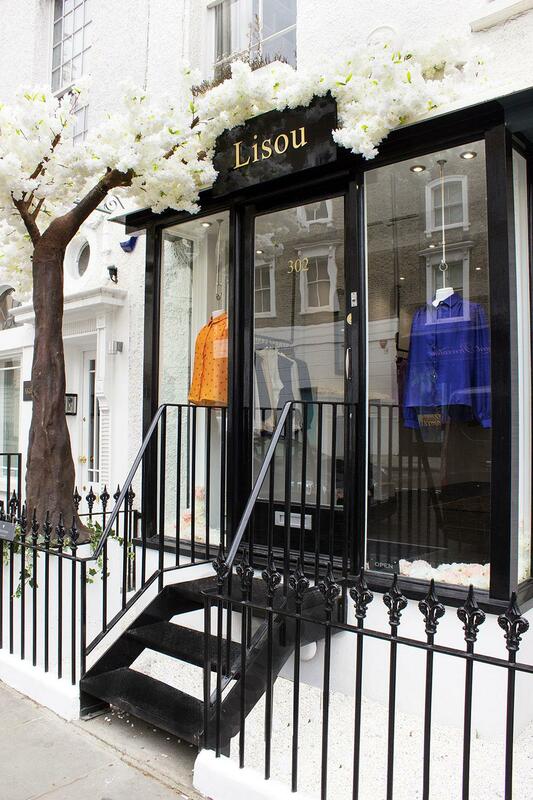 Located on the tree-lined street of Ladbroke Grove, Sophie Gass is a one-stop shop for those who want a different experience from a traditional spa, but might also be interested in buying a hand-tied flower arrangement or a one-off piece of clothing from the designer’s own brand. After realising that such a unique concept store was missing in the local area, the former banker opened her eponymous boutique in October 2012, welcoming shoppers (both male and female) to its luxe nail bar, home and fashion accessories trove. 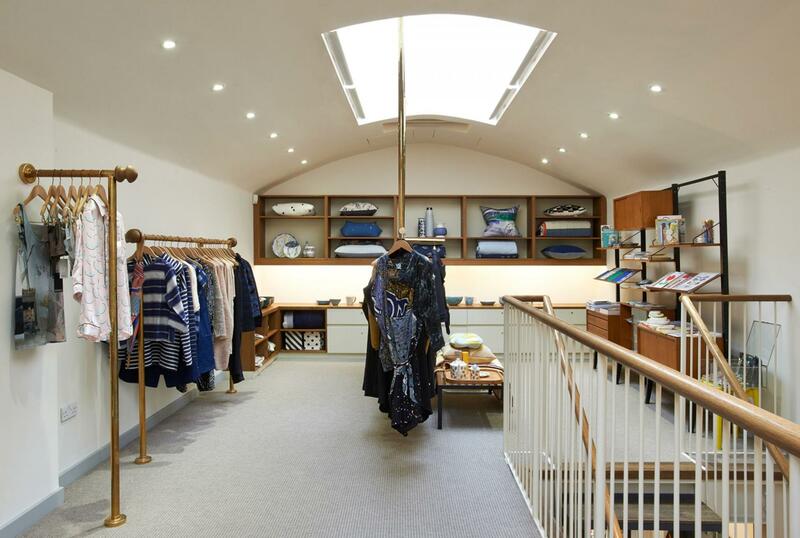 Run as two separate stores within the same building, Couverture & The Garbstore was founded by couple Emily Dyson and Ian Paley, who met while working together at Paul Smith. Set in a three-storey period townhouse, the boutique champions emerging designers and cult labels, many of which are exclusive to the store. 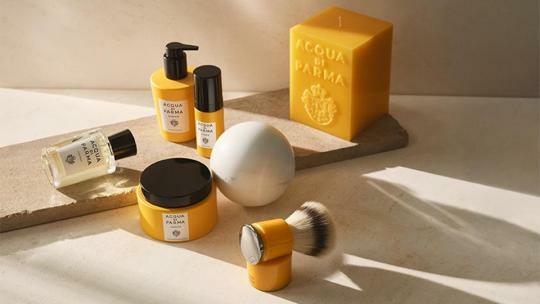 Head here for unique gifts, adorable childrenswear and independent fashion with a focus on craftsmanship, plus the boutique’s in-house ‘No Chemicals’ fragrance line. On Kensington Park Road is an independent homeware store that offers an array of tableware, kitchenware, textiles and accessories sourced from the far east. Traditional craft with contemporary and high-quality design is at the heart of Native & Co products. 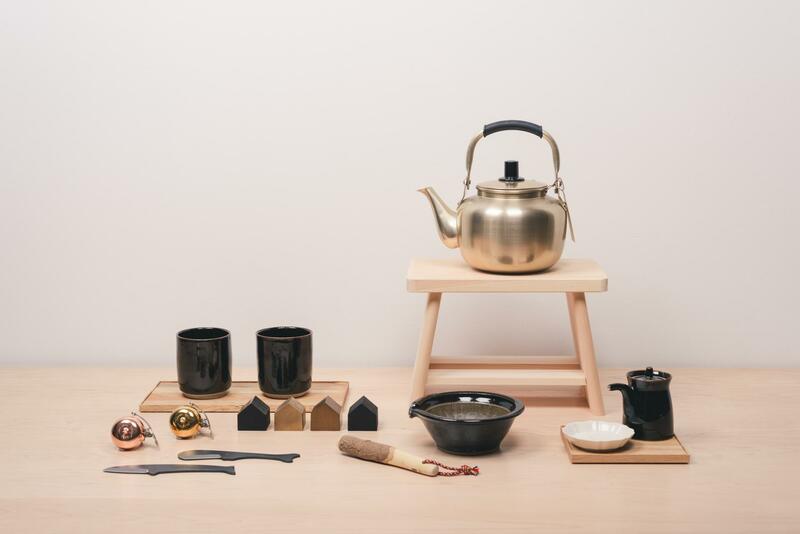 Founders of the homeware brand, Sharon Jo-Yun Hung and Chris Yoshiro Green, work closely with specialists and craftsmen to acquire pieces that are simple in design with subtle detailing, whilst remaining connected to their Japanese and Taiwanese origins. Alongside curating pieces from Japan and Taiwan, the founders design and make some of the items themselves, adding to Native & Co’s unique collection of homeware treasures. After studying in London in 1999, French-Cambodian sisters Val and Vanda Heng Vong wanted to address the absence of Parisian labels and products in London. 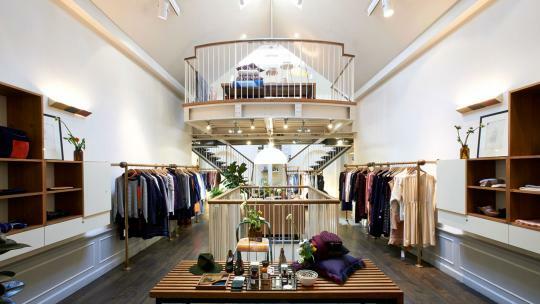 Their idea of a multi-brand lifestyle boutique, that could showcase the best of French design, soon evolved into a curated Parisian boutique, Aimé, in Notting Hill. The boutique stocks home and lifestyle pieces with luxury womenswear to create a Parisian lifestyle within the store. Alongside French designers like Herbarium Paris, Etoile, Isabel Marant and Repetto, the stores now stocks global luxury labels including Ulla Johnson and BSBEE. 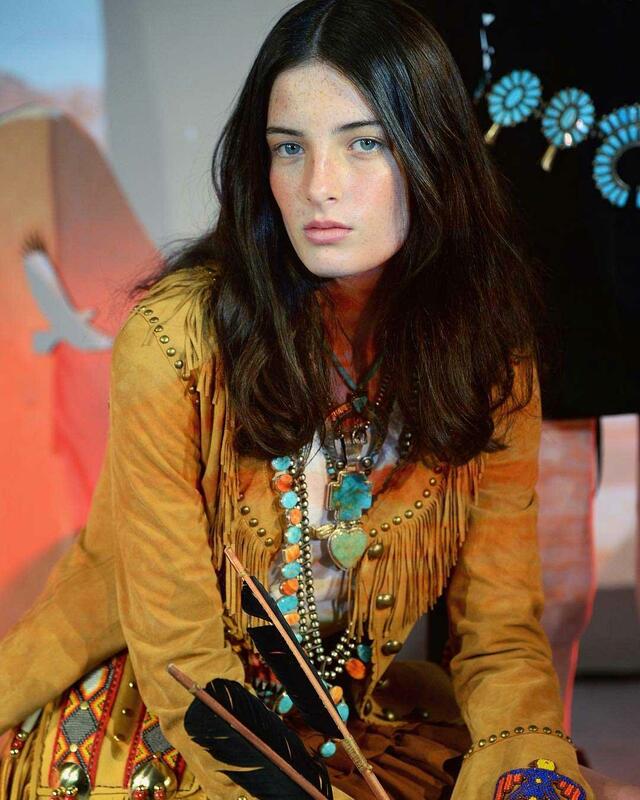 In 2013 the brand expanded from its West London home across to Shoreditch on Redchurch Street, opening their second London-based Parisian boutique. 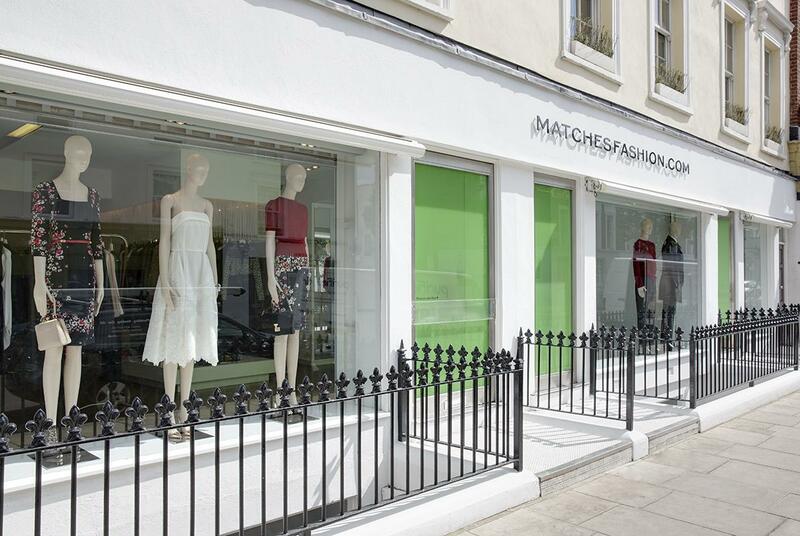 One of three bricks-and-mortar shops from luxury e-tailer matchesfashion.com, this capacious boutique showcases a curated edit of menswear and womenswear from the site’s most popular labels including Gucci, Saint Laurent, Valentino, Vetements and Dolce & Gabbana. The boutique is also home to the in-house fashion brand - Raey - designed by Rachael Proud, former creative director for Christopher Kane.